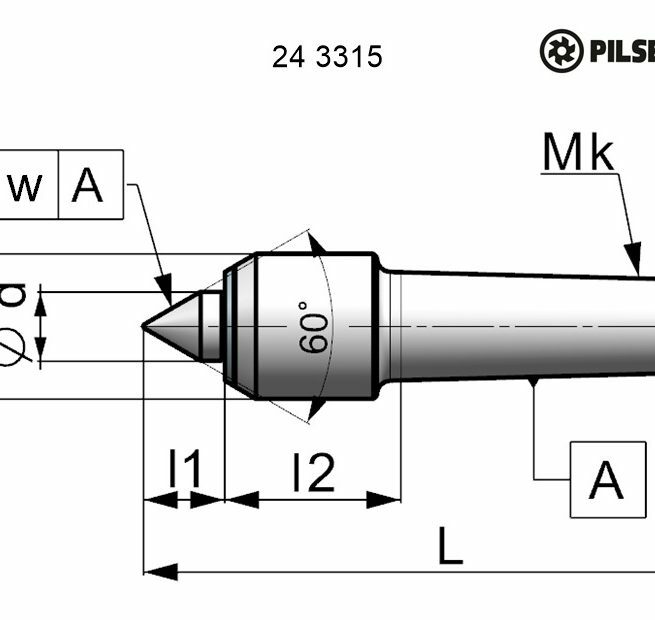 243315 LIVE CENTRES - with small body diameter | E-SHOP - PILSEN TOOLS s.r.o. 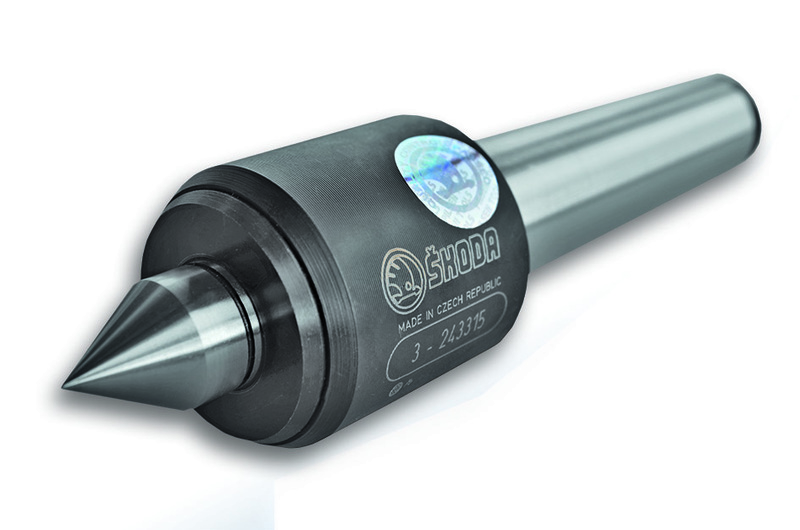 The live centers are determined for workpiece clamping in lathes, eventually for work in grinding machine. 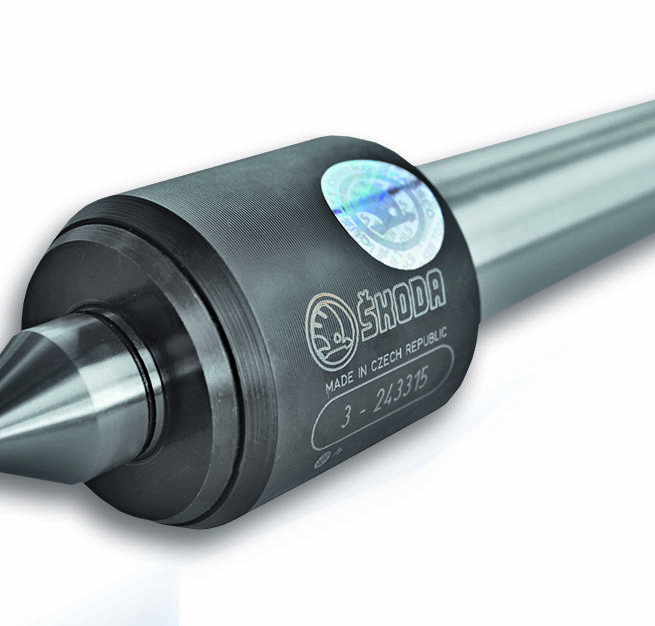 The construction of live centers features with small diameter head of tip in comparison with basic series live centers according to CSN 234423, which allows easy access tool to workpiece. 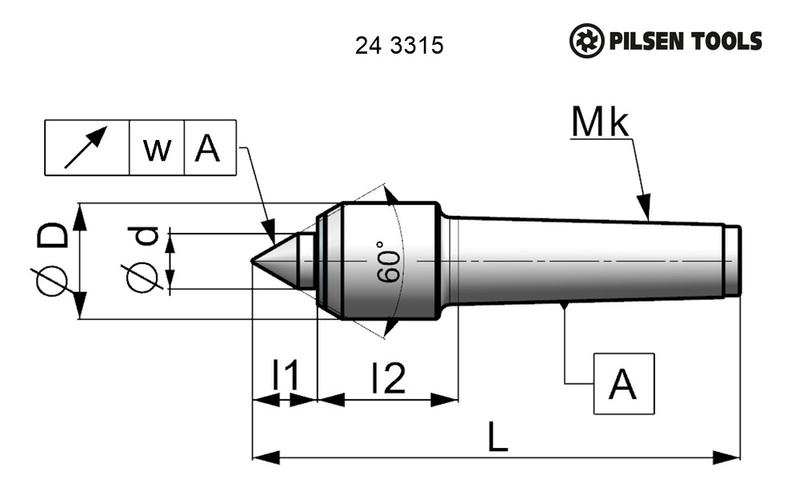 Live centers are provided with the cone Morse taper according to CSN 22 04208 (DIN 228, ISO296) without the clamping thread. 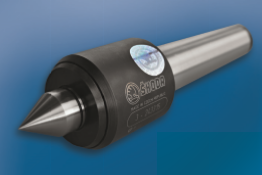 Protection of bearing from the ingress of coolant, dirt or swarf is provided by the built-in ring gasket which also prevent loss of lubricant, it means longer working life of live center.